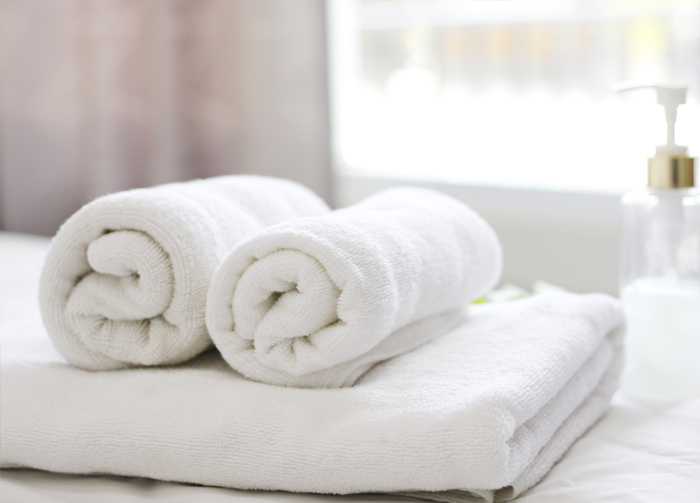 Laundry and Dry Cleaning for Hotels by Hotel People. 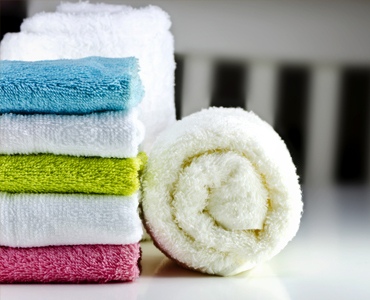 Five Star Laundry offers high end linen processing to hotels in Chicago, Orlando, Dallas, Denver, and Washington DC. Since 1999, Five Star Laundry has been consistently delivering high quality textiles to our customers every day, 365 days a year. We share the commitment and passion of each organization to service the guest and your team with a consistent product so that you meet your goals. Our facilities embrace a total quality approach and all aspects of the operation are continually monitored to ensure that standards are adhered to and that the product produced is consistent. 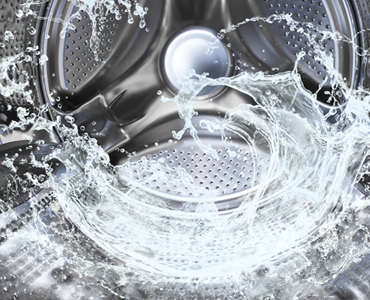 As laundry partners, our client service managers have extensive hotel operational experience, and meet regularly with our hotels to show them how Five Star can work with them to better meet their needs. We offer flexibility in our services to meet the individual needs of our clients. For customer owned linen, we offer customized pricing and service for rooms linen and terry, food and beverage, specialty pieces, dry cleaning, uniforms, and guest valet. We offer long term programs, as well as emergency or temporary service. Our facilities use advanced technology and eco-friendly practices, allowing us to achieve quality and sustainability in our operations. 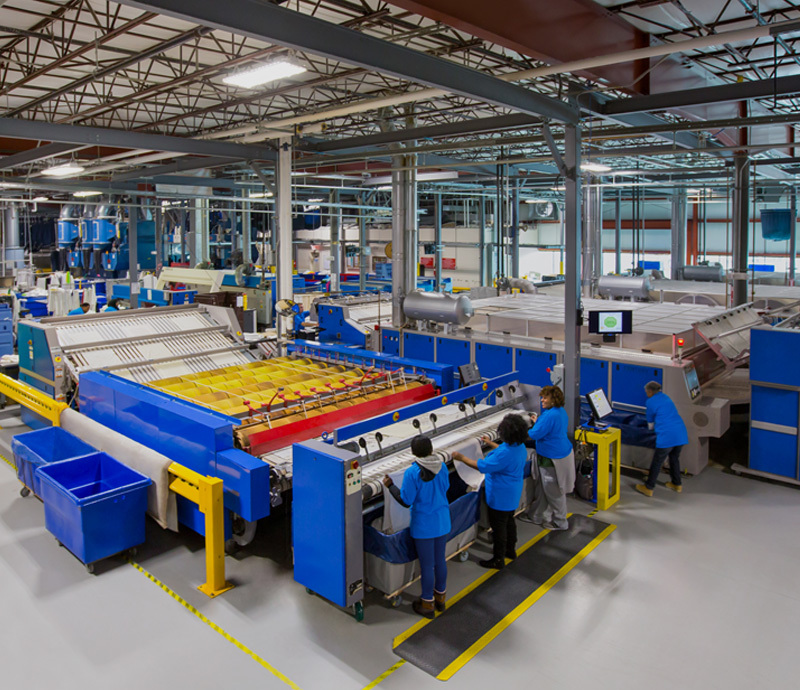 Five Star’s equipment is state of the art and ranges from small 30 pound commercial washers to the highly sophisticated tunnel washers for maximized throughput. The equipment is maintained by a staff of highly trained technicians who are aided by a computerized preventative maintenance software program. 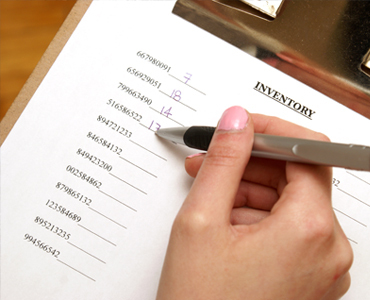 All linen is tracked using customized software which interfaces with our billing system and allows us to provide daily, weekly, and monthly reporting to our customers. We utilize eco-friendly practices in our facilities including water and resource conservation including using peroxide bleach instead of chlorine bleach. In addition to being kinder to the earth peroxide bleach results in less linting and longer life of your linen. Copyright 2018 Five Star Laundry. All rights reserved.